Need help healing? We've compiled some of the best resources to you help you on your journey. One of the major goals of Honey2 Healing is to provide information and support for people suffering from chronic illnesses, particularly Lyme disease. Here are some sources of information to get you started. Lyme disease is the most commonly reported vector-borne disease with a CDC estimate of 300,000 cases annually in the USA alone. Johns Hopkins researchers estimate that it costs $1.3 billion annually to treat Lyme disease. This is a global, yet largely silent epidemic. Until now. http://www.bayarealyme.org/The Bay Area Lyme Foundation (BALF) mission is to put a stop to Lyme disease. They fund scientific research with a focus on prevention and the development of better diagnostics and treatments. BALF is committed to making Lyme disease easy to diagnose and simple to cure. http://www.globallymealliance.org/The Global Lyme Alliance (GLA) mission to create a stronger voice for the Lyme community—especially for young people who suffer from these illnesses. In 2015, GLA merged with two organizations—the Tick-Borne Disease Alliance (TBDA, http://tbdalliance.org/) and Lyme Research Alliance (LRA, http://www.lymeresearchalliance.org/)—to provide an even greater capacity to fund the critical research required to eradicate Lyme and support the Lyme community. http://www.lymedisease.org/Founded in 1989, LymeDisease.org is a national grass-roots organization with state-based Internet groups in every state of the nation. The Lymedisease.org website draws over 1.2 million unique visitors a year. Lymedisease.org advocates nationally for quality accessible healthcare for patients with Lyme and other tick- borne diseases. They are committed to shaping health policy through advocacy, legal and ethical analysis, education, physician training and medical research.In November 2015, Lymedisease.org and IdeaScale launched the MyLymeData platform to empower and connect patients with innovative crowdsourcing of medical data for patient-powered research. Each and every Lyme patient, no matter where you live in the world, can add your Lyme data to MyLymeData to help find a cure for Lyme disease. http://lymelightfoundation.org/The mission of the Lyme Light Foundation is to provide grants to enable eligible children and young adults with Lyme disease to receive proper treatment and medication as well as raising awareness about Lyme disease. In addition to providing financial support, Lyme Light offers stories of hope. The award-winning documentary “Under Our Skin” exposes the hidden story of Lyme disease, one of the most serious and controversial epidemics of our time. Each year, thousands go undiagnosed or misdiagnosed, often told that their symptoms are all in their head. Following the stories of patients and physicians fighting for their lives and livelihoods, the film brings into focus a haunting picture of the health care system and a medical establishment all too willing to put profits ahead of patients. A sequel released in 2014, “Under Our Skin 2: Emergence,” presents new findings in the field of Lyme treatment, and offers hopeful stories about recovery from the patients introduced in the first film. In 2015, film Director, Andy Abrahams Wilson, produced a 45-minute edition of the original Under Our Skin film that screened as part of the “Innovations-X: Lyme Science & Solutions” symposium in Washington DC, November 2015. This symposium was part of a larger event, “Innovations-X: Rising Above the Politics for Progress in Science” sponsored by the AAAS Science and Technology Policy Fellowship program, which is part of the American Association for the Advancement of Science (AAAS). Resources from “Under Our Skin” filmmakers. 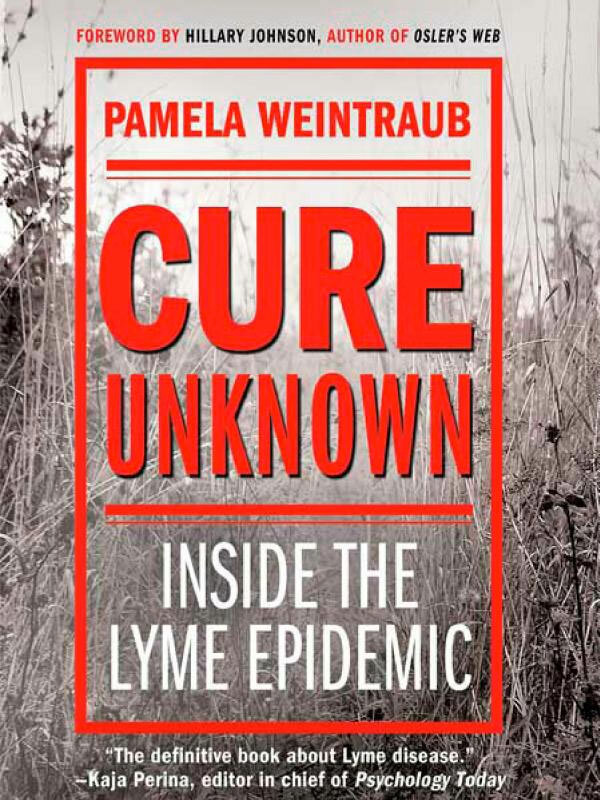 A groundbreaking and controversial narrative investigation into the science, history, medical politics, and patient experience of Lyme disease told by a science journalist, Pamela Weintraub, whose entire family contracted the disease.